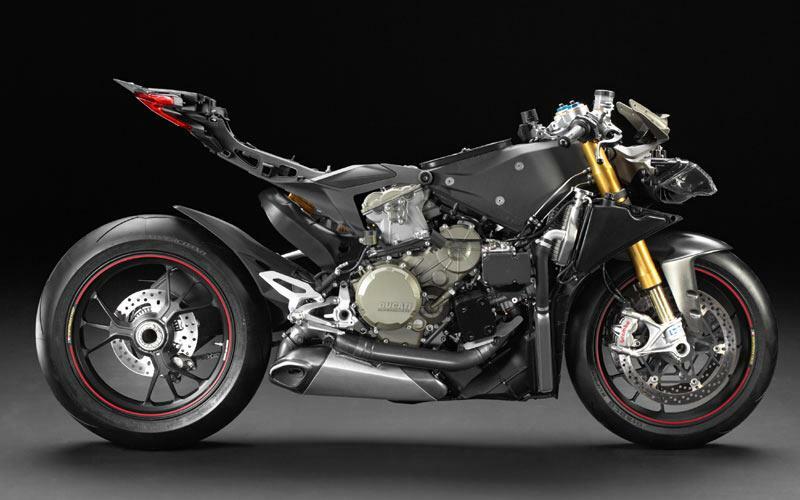 These are the first official images of the new Ducati 1199 Panigale without bodywork. The images show off the cast aluminium airbox frame and highlight just how compact the 1198cc machine is. 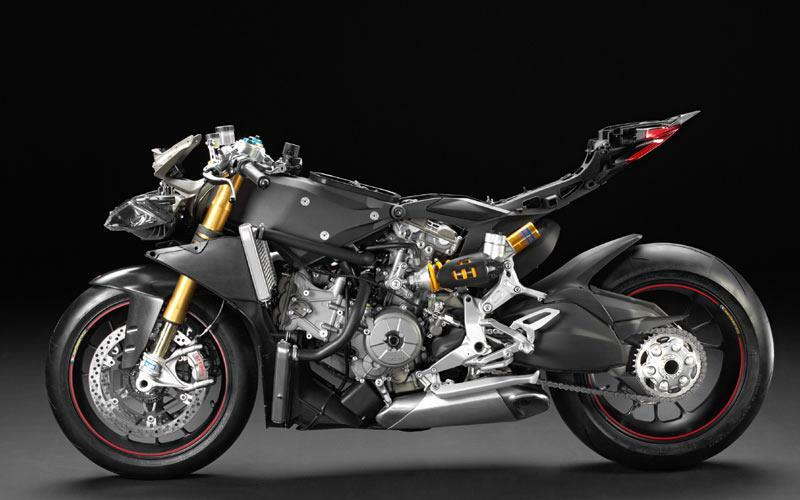 The 195bhp Panigale takes superbikes to a new level of sophistication with an abundance of electronic aids, including ABS, traction control, customisable riding modes and electronic engine braking. The Ducati 1199 Panigale S ABS is priced at £19,750. MCN senior road tester Michael Neeves rode the bike at the launch and had this to say: "Apart from the colour and the noise it makes, the Panigale has nothing in common with Ducati superbikes of old. "The chassis is ‘frameless’, there’s a new-generation ‘superquadro’ L-twin engine and it comes with the very latest electronic rider aids, which work. "Producing a claimed 195bhp and weighing 188kg, wet, it has a fearsome power-to-weight ratio, but is remarkably easy to ride. Gone is the out-going 1198’s excess of almost uncontrollable torque and in is a smooth power curve and a searing top end. "Like Ducatis of old its super-stable in fast corners, but now it steers as fast as a Japanese superbike. It’s a very clever motorcycle and very, very good."